Plumbing is an essential service done for fixing water drainage and system. For every plumber or plumbing firm, enough materials and quality services are the key elements to make it known. 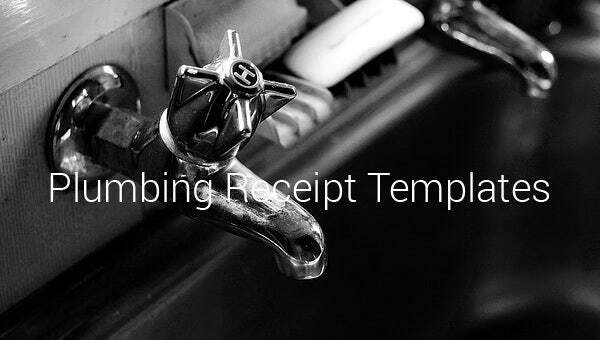 Plumbing receipt can be found in these Service Receipt Templates as a tool used for billing their customers, it will be a basis for placing the right amount appropriate to services and items provided. It is better to have a list of services when making a Sample Receipt Templates but it depends to the company, the designs and layouts will also be based on their needs and requirements. Agreement for the service to be render to the customer which is agreed by the plumber will be stated properly in the receipt as a form of transaction.